Super Savings Item! 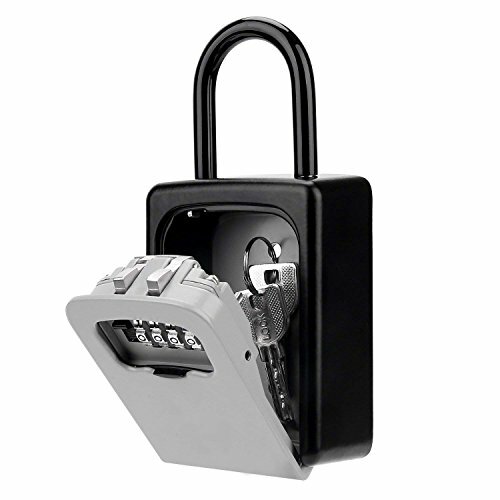 Save 37% on the KIPRUN Key Storage Lock Box, 4-Digit Combination Lock Box, Wall Mounted Lock Box, Resettable Code (Belt Hook) by KIPRUN at N Online Agency. MPN: KIPRUN-LB-0001. Hurry! Limited time offer. Offer valid only while supplies last. Style:Portable Product Description If you're still hiding your spare keys under the doormat, it's time for a better, more secure solution. View More In Drop Slot Safes. Larger storage capacity: Outer dimensions: 4.72" x 3.35" x 1.57". The key box has larger space which you can place 6 keys at most,more storage than conventional lockboxes. You can put your house keys or car keys in it when you go to work or on vacation. If you have any questions about this product by KIPRUN, contact us by completing and submitting the form below. If you are looking for a specif part number, please include it with your message.